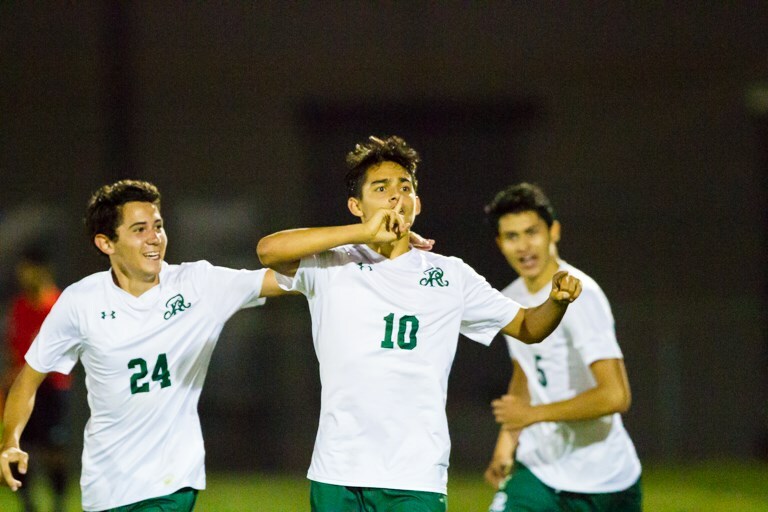 Rattler Boys Soccer Advances to Regional Semis! How about that game Friday night! Your Rattler Boys Varsity Soccer team shut out the Jaguars 2-0 in the Regional Quarterfinals. Goals by Martinez and Bernal, along with a red card to Albo, added plenty of excitement to the game! Your Rattlers are now headed to the valley to take on Brownsville Hanna at the Brownsville Sports Complex at 4:00 PM Friday. Come watch your Rattlers break some Hanna hearts, as there will likely be hundreds of Golden Eagles in the stands. If you can’t make it, send your feel good vibes and follow our scores on Twitter @rattlersports. The winner of this match will play the winner of LEE vs Alexander in the Regional Finals on Saturday at noon. See UIL Playoff brackets here or go to https://www.uiltexas.org/soccer/playoff-brackets/boys/6A/2-4. And as always…Strike ’em, Rattlers!